BAGUIO CITY – The John Hay Management Corporation (JHMC), a subsidiary of the State-owned Bases Conversion and Development Authority (BCDA), lined up numerous activities to celebrate the 115th anniversary of the establishment of Camp John Hay (CJH), the former American rest and recreation center in the city, on October 19-21, 2018. JHMC vice president and chief operating officer Jane Theresa G. Tabalingcos said the theme for this year’s celebration of John Hay’s 115th founding anniversary is ‘Strength in Unity,’ the primary purpose of which is to preserve the state of the camp and protect the remaining green environment for the benefit of the present and future generations of residents. The 3-day anniversary celebration will start with a civic-military parade commencing at the Ayala Techno hub followed by a main program. Part of the activities for the first day includes a Breast and Prostate Cancer Awareness Forum at the Bell House followed by a free clinical screening for breast and prostate cancer in the same venue with breast cancer and experts. On October 20, 2018, there will be a Zumba fund-raising activity organized by the I Can Serve Foundation and the John Hay Business Club, in coordination with JHMC management, the proceeds of which will be used for the various screening procedures of indigent patients undergoing breast cancer and prostate cancer screening. The Camp John Hay Trail Run composed of a 5-kilometer, 10-kilometer and 21-kilometer races will be held on October 21, 2018 which will be followed by a Thanksgiving Mass. 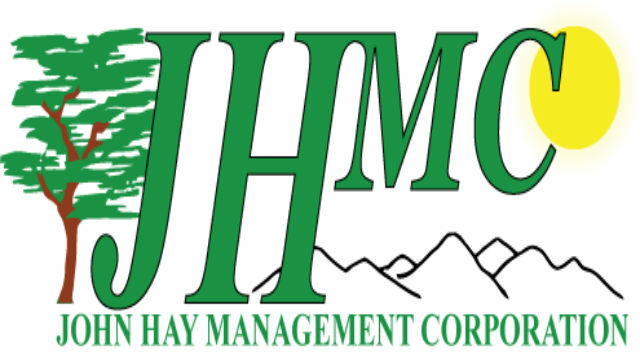 Tabalingcos revealed the JHMC will also pursue its Adopt A Tree program aimed at enhancing and maintaining the environmental integrity of the camp by supporting the maintenance and protection of trees within the reservation. The JHMC will also be hosting the prestigious Gong Festival on October 14, 2018 in partnership with the Indigenous Peoples Education for Arts, Culture and Empowerment, Inc. among other indigenous peoples organizations from the different parts of the region. On November 11, 2018, JHMC and the tourism department will be launching Forest Bathing at the Yellow Trail to reinvigorate the state of the environment in the place through various self-reflection activities. On November 11-18, 2018, an art exhibit featuring national artist BenCab at the Bell House will be part of the numerous activities lined up by the tourism department and the local government for the week-long Creative Arts Festival in the city to help sustain the city’s identity as a Relative City under the United Nations Educational, Scientific and Cultural Organization (UNESCO) Creative Cities Network. Tabalingcos revealed that JHMC’s Kalusugan Project 2018 will also be conducted for beneficiaries from the barangays within the John Hay reservation for their basic health requirements that could be brought to experts for proper diagnosis.